Ever since humans first started making maps of the world, we’ve been getting it wrong: no matter how clever our cartographers, we’ve never found a true way to represent the surface of the Earth on a flat sheet of paper. It’s time to tear up the maps and get more globes. 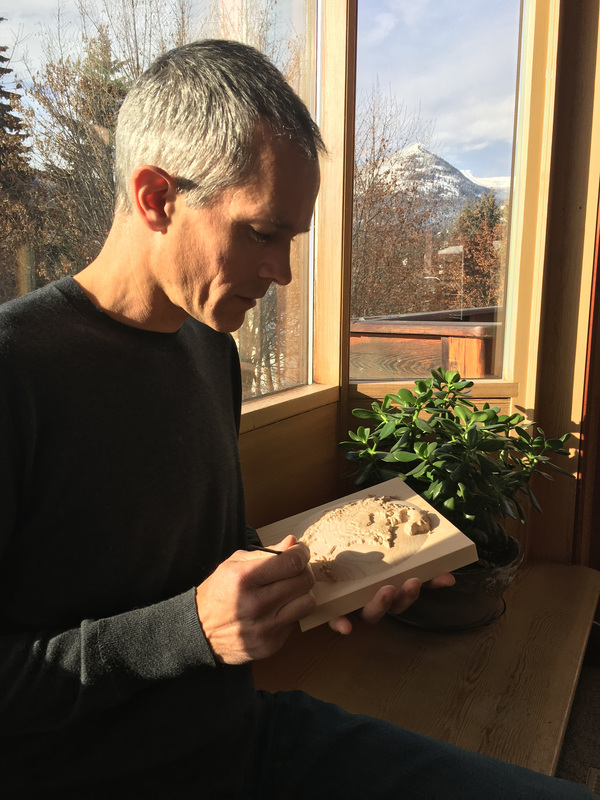 Forget about launching a billion-dollar startup in Silicon Valley: if you really want a challenge, try launching a globe-making business in a small mountain town in Canada. 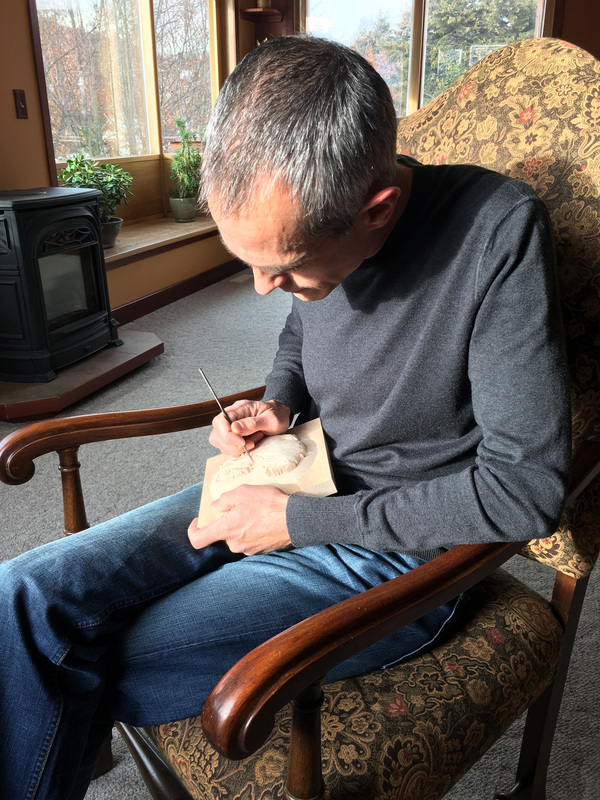 In the era of social media shoutouts and tweetstorms, we all spend our lives with one foot in the real world, one foot in the tech world. One maker wants to use technology to bring us back to reality, by getting robots to carve globes out of wood. 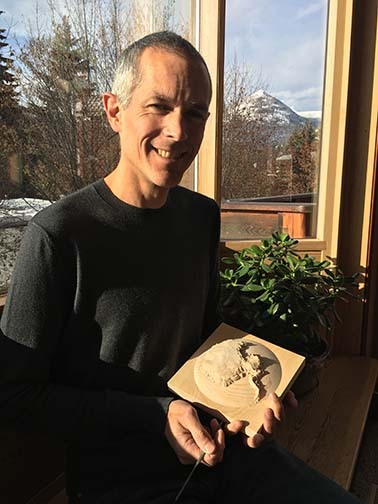 This is me in my home in the mountain town of Rossland, BC, Canada. 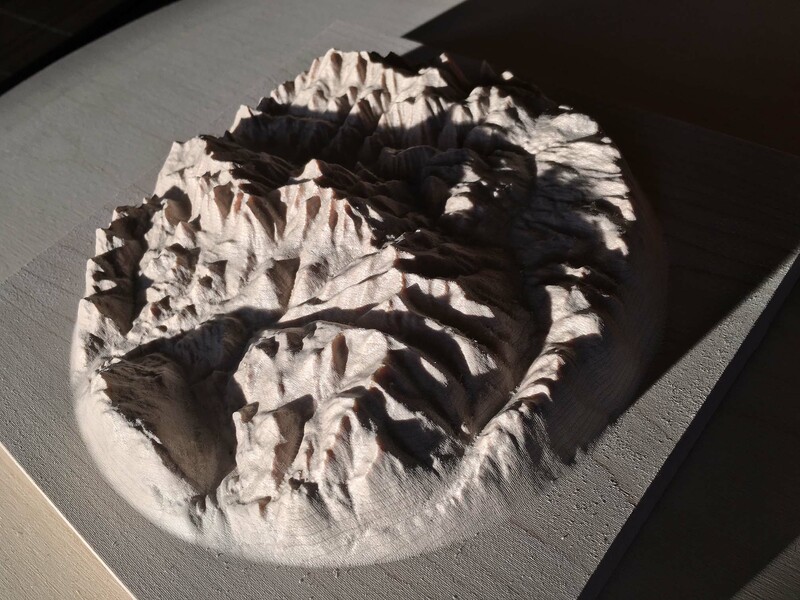 Mount Roberts appears twice in third photo: once, for real, through the window and again, carved out of wood, on the mountain map. 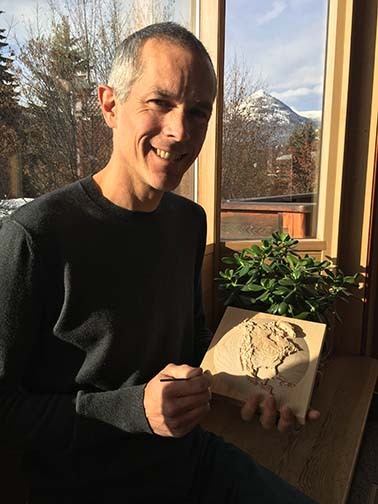 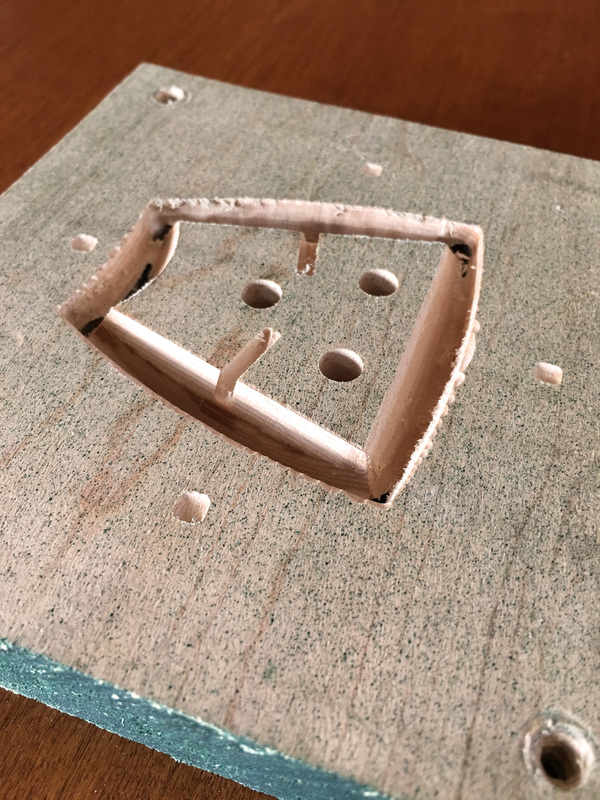 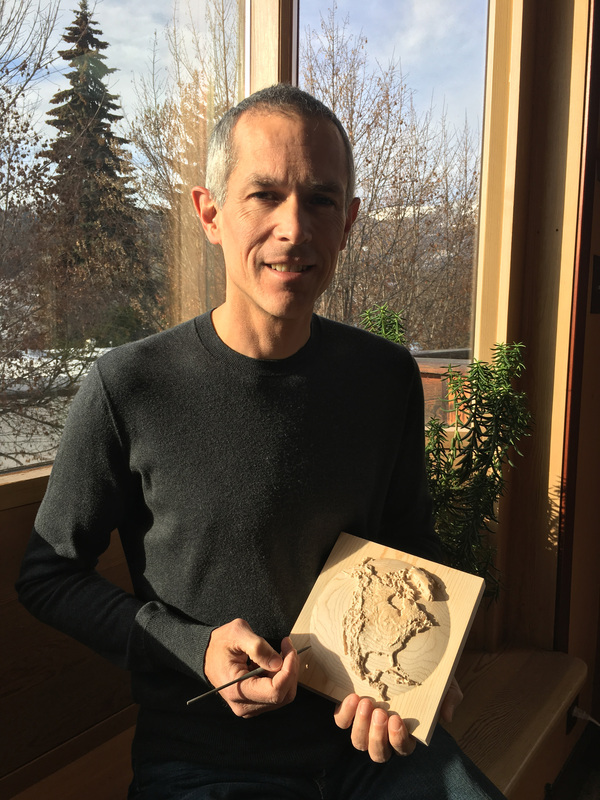 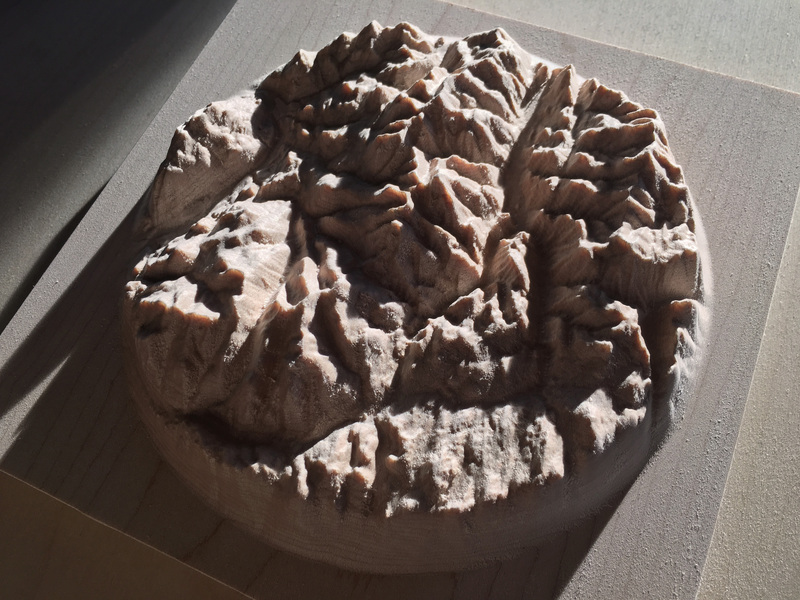 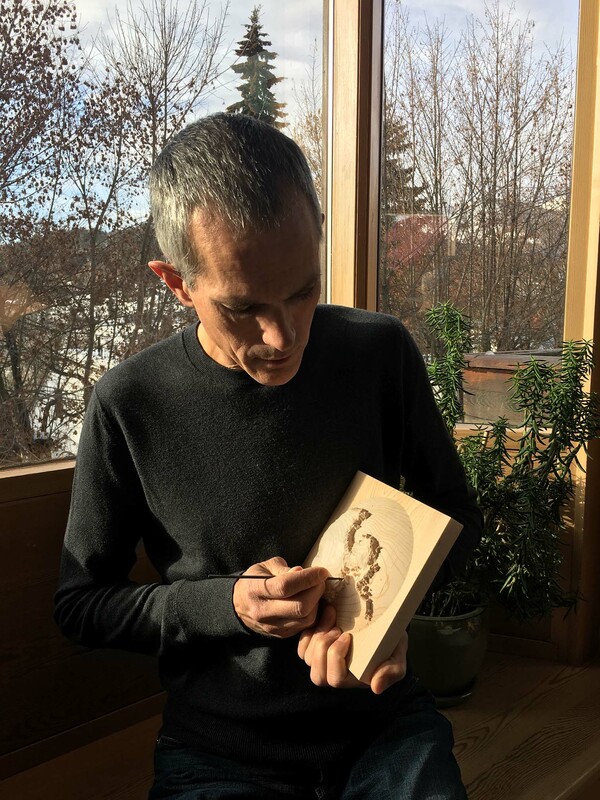 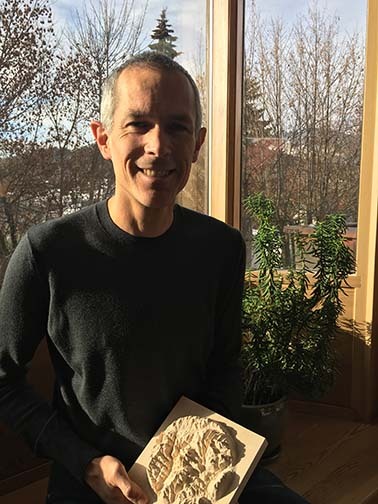 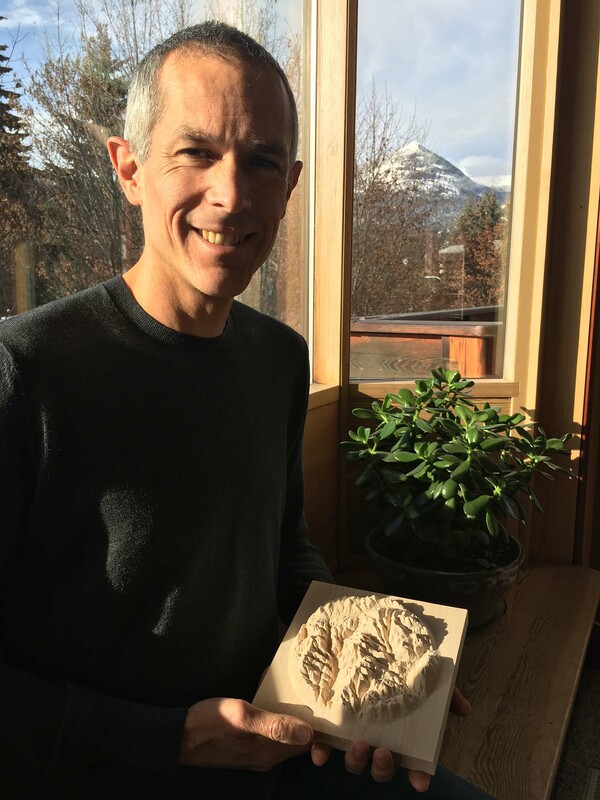 One of the perks supporters of my Indiegogo campaign can get is a 3D relief map of any mountainous area of Canada, the US or the UK, carved out of wood. 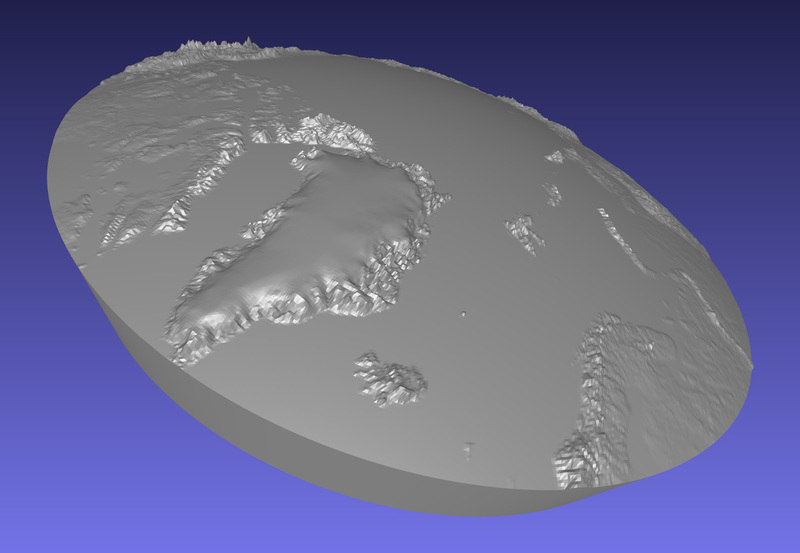 This one’s of the Rossland Range, where I live. 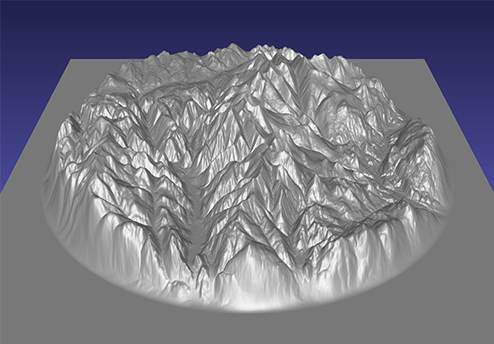 The peak seen towering over the range in the second photo is known locally as Old Glory. Another of the perks supporters can get is a 3D dome relief map of North America, South America, Europe, Africa, Asia, Australia & New Zealand or Antarctica, carved out of wood. 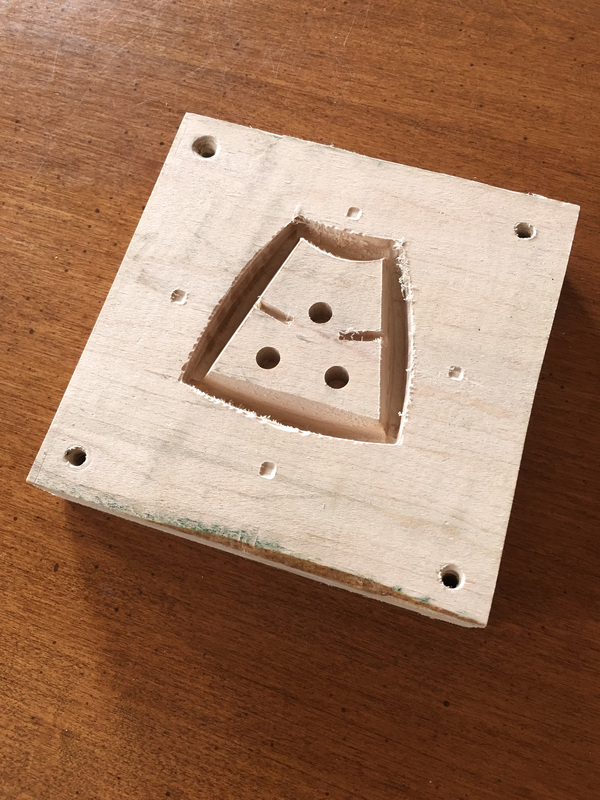 Here’s an early prototype. 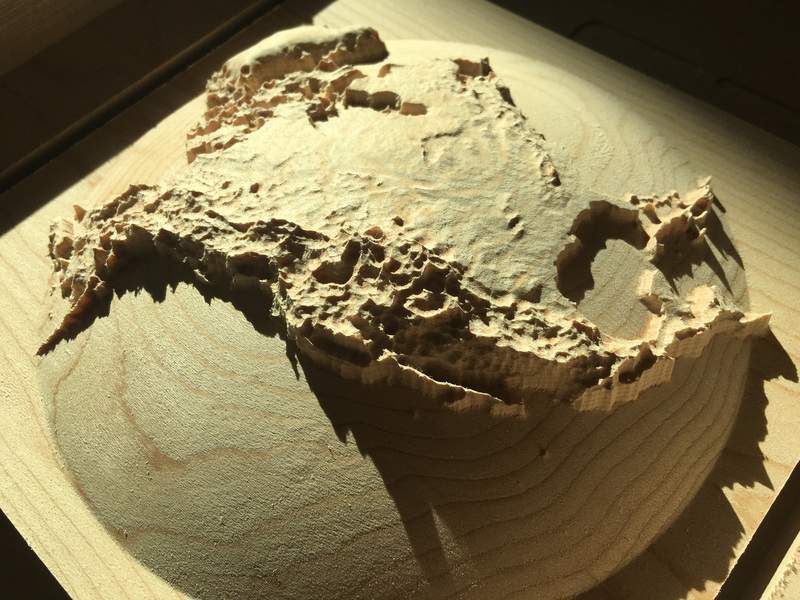 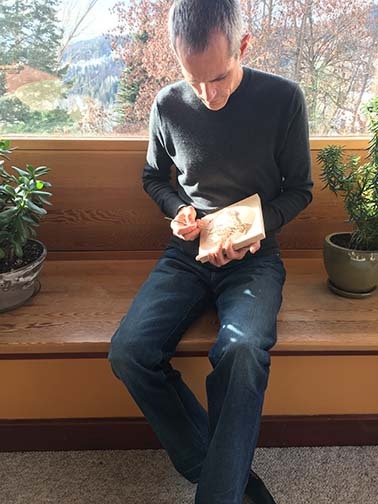 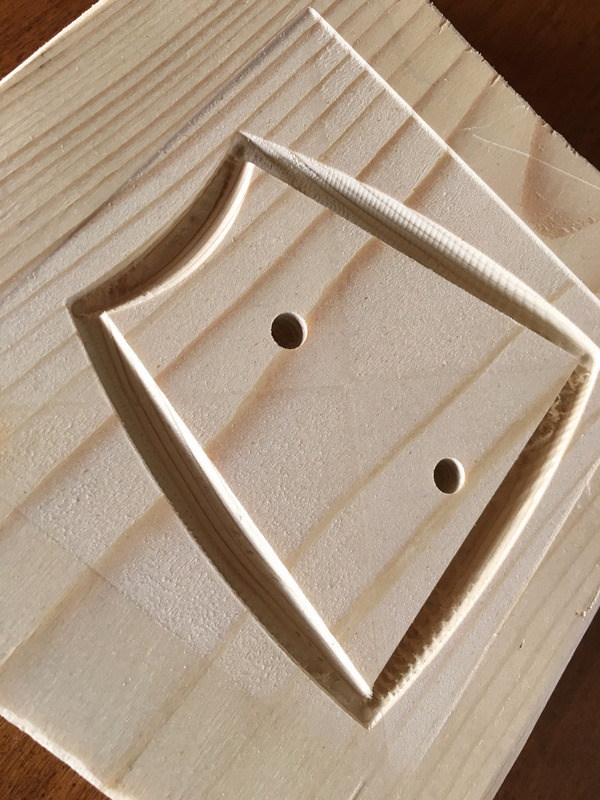 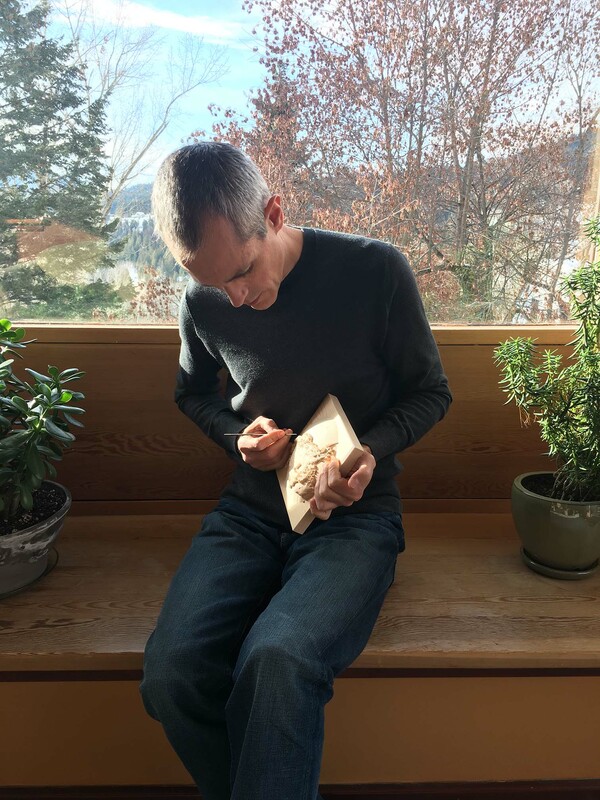 One of the challenges of carving a globe out of wood is finding ways to join fourteen separate pieces, each carved on both sides, into a globe. 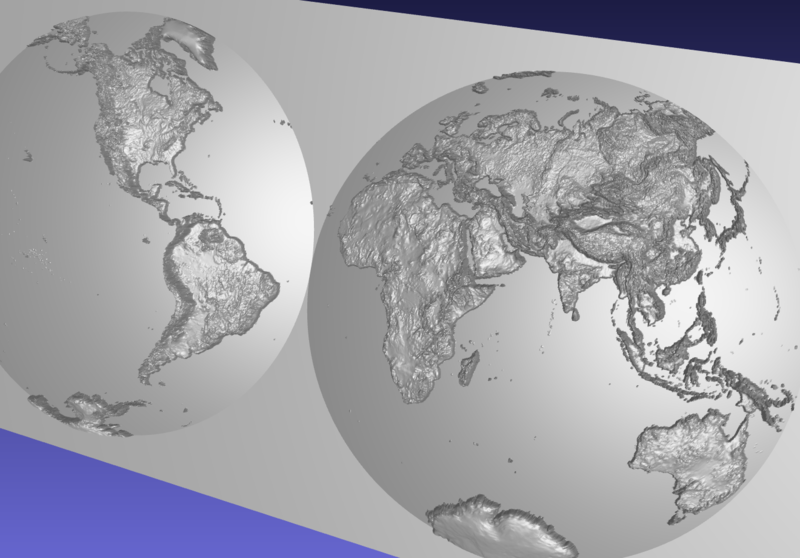 Here are some early experiments. 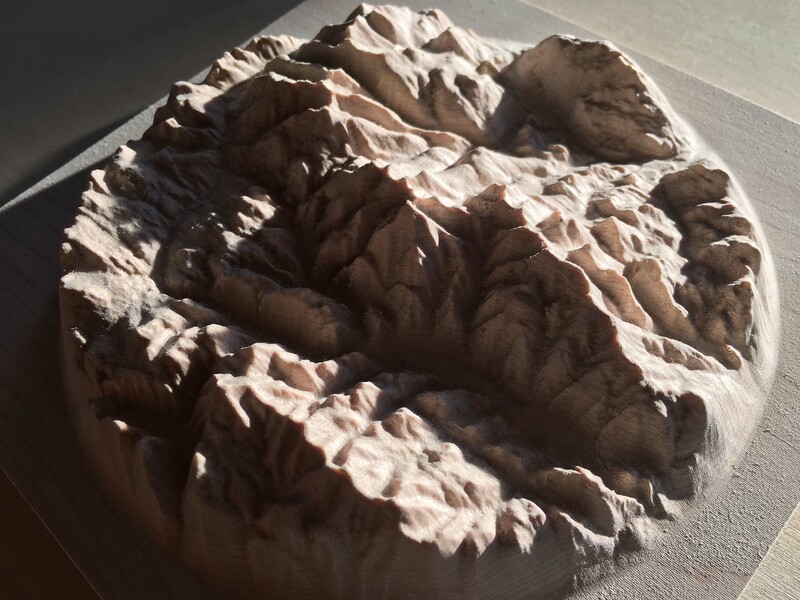 Computer models of the perks supporters of my Indiegogo campaign can get in return for their pledges. 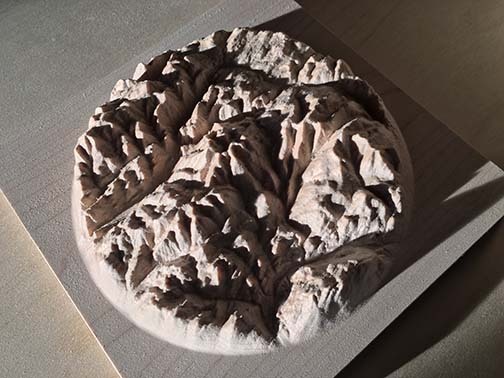 These models will be used to program the CNC router to carve the finished maps and globes from wood. 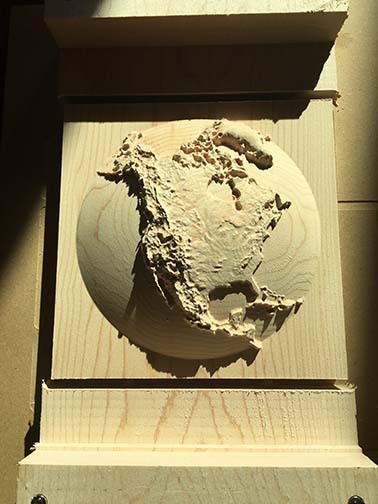 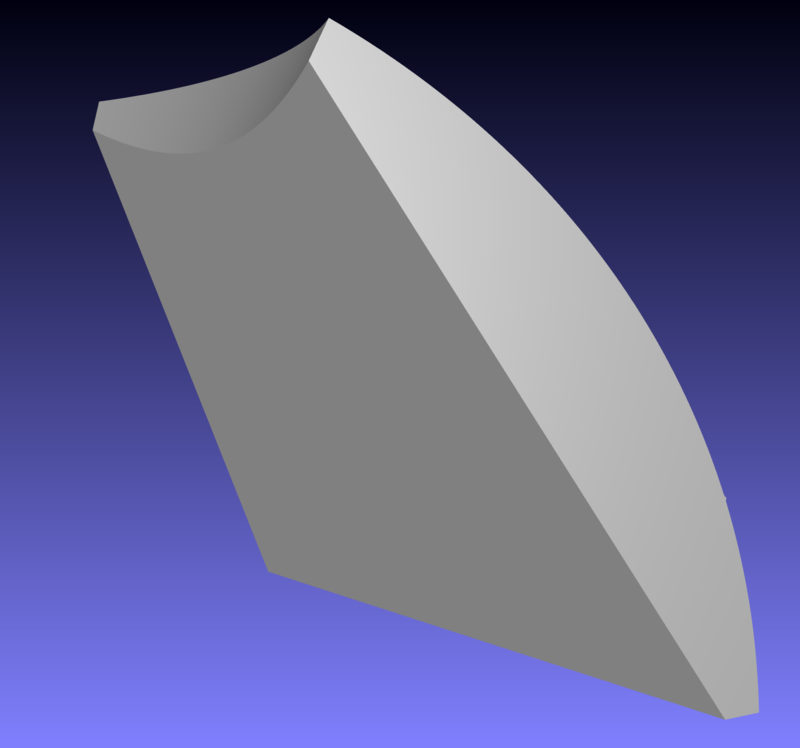 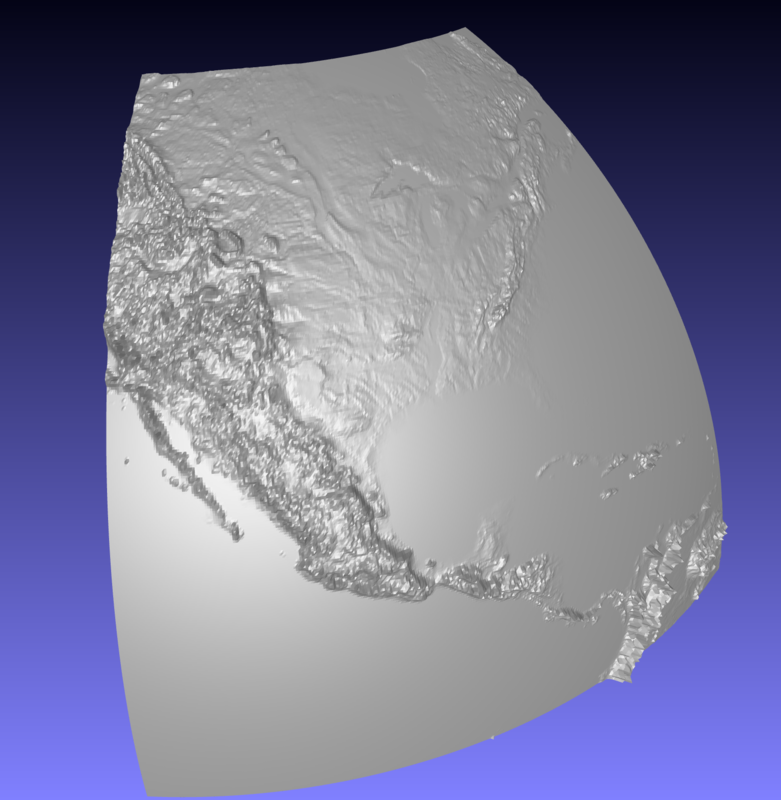 Computer models like these will be used to program the CNC router to carve the fourteen separate pieces of the globe. 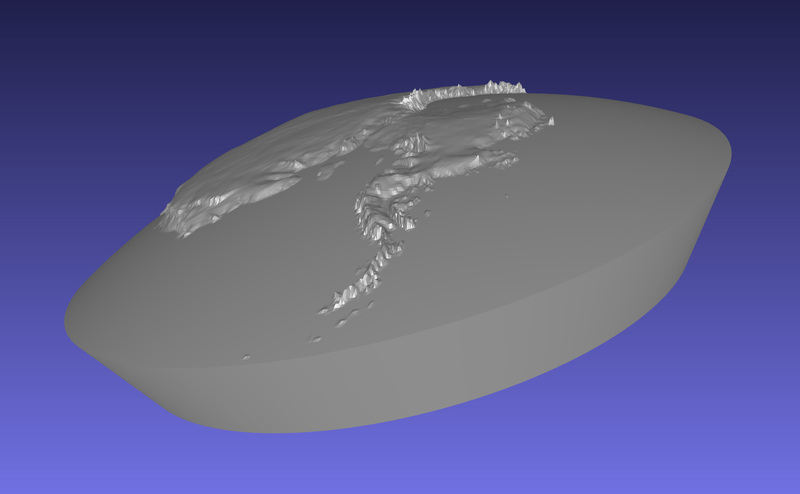 On early models, some coastlines, such as the coast of Florida in the second image, are so subtle as to be almost invisible. On more recent models, I’ve exaggerated the coastlines to make them stand out more. 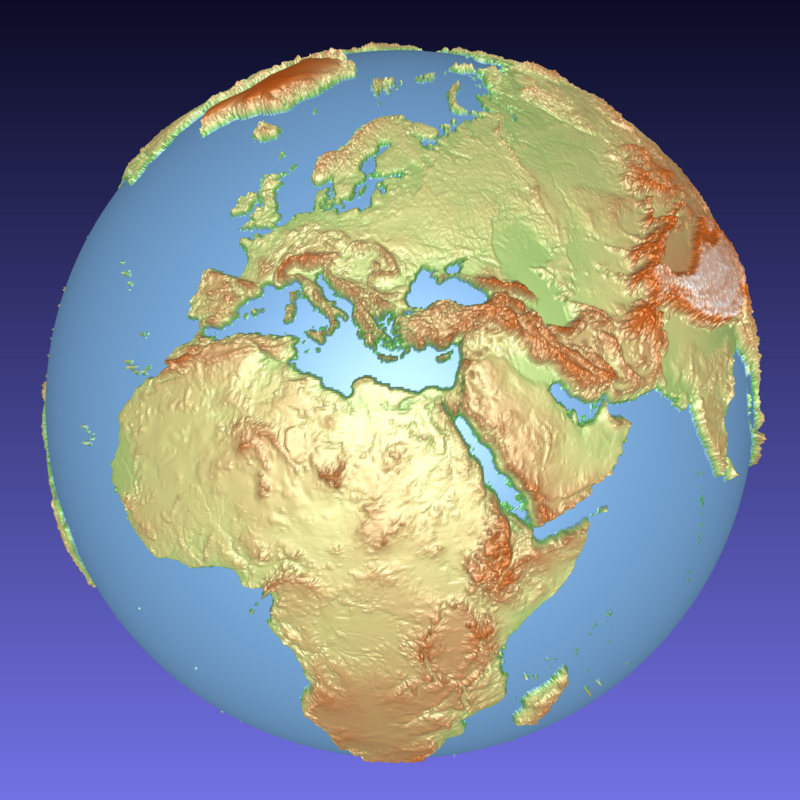 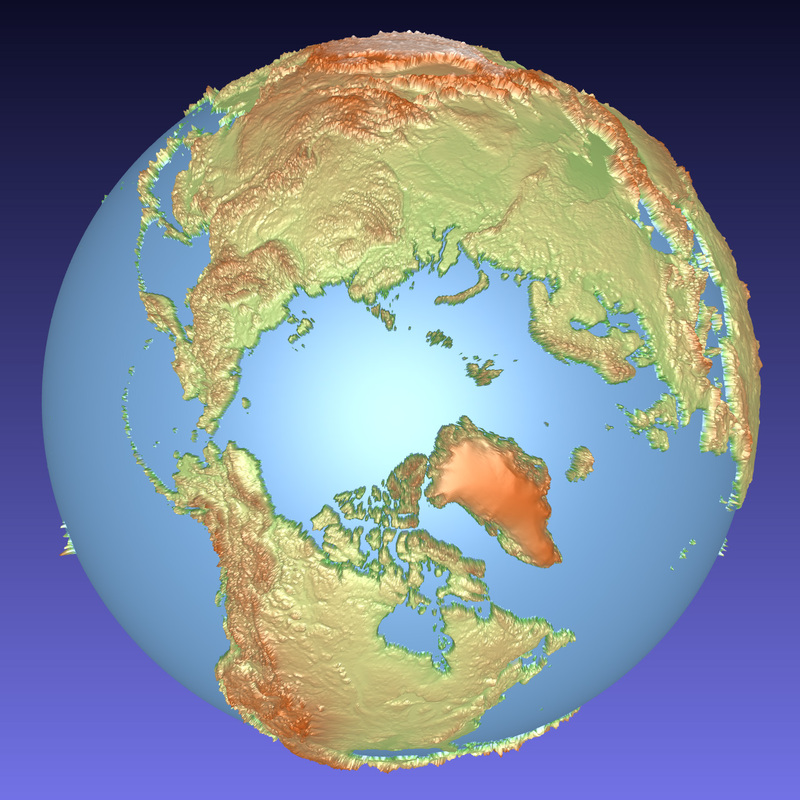 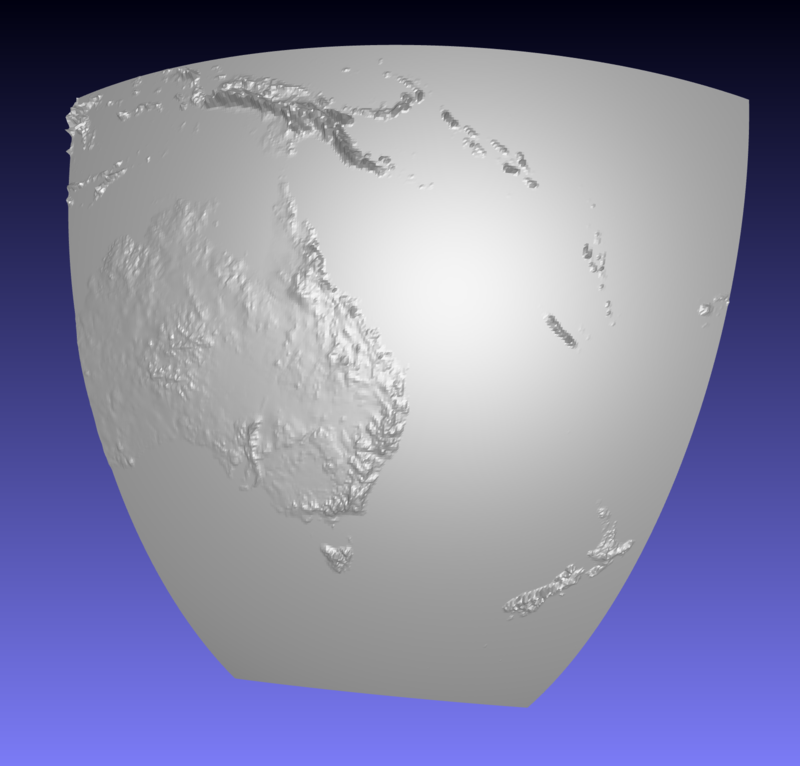 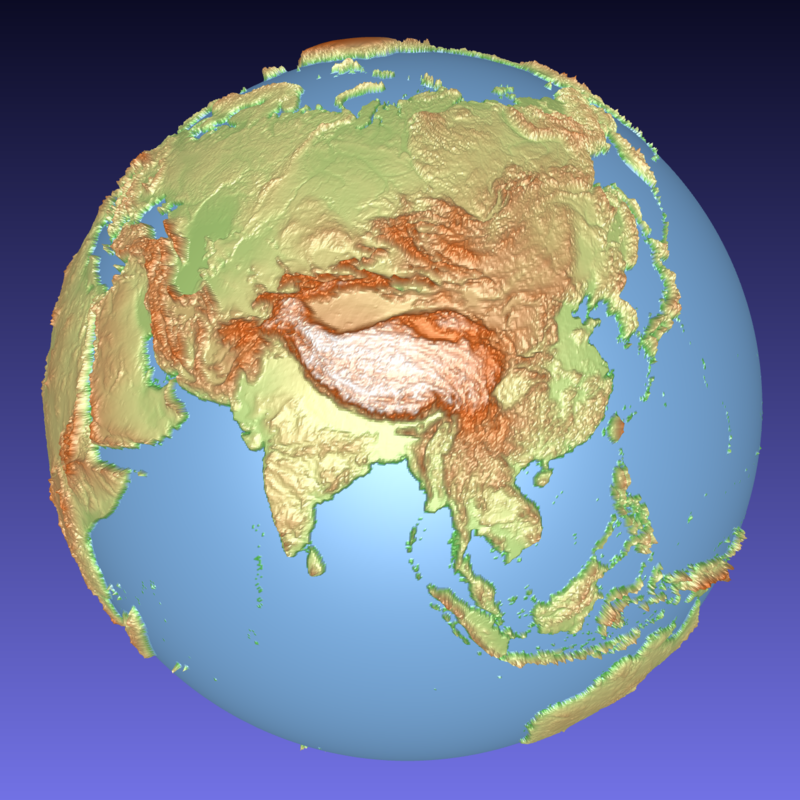 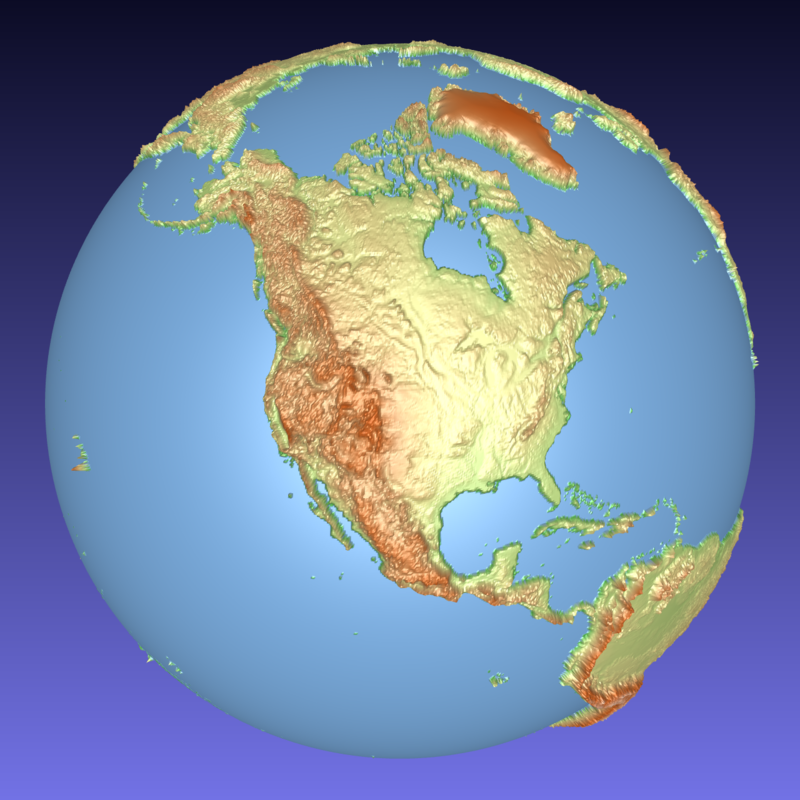 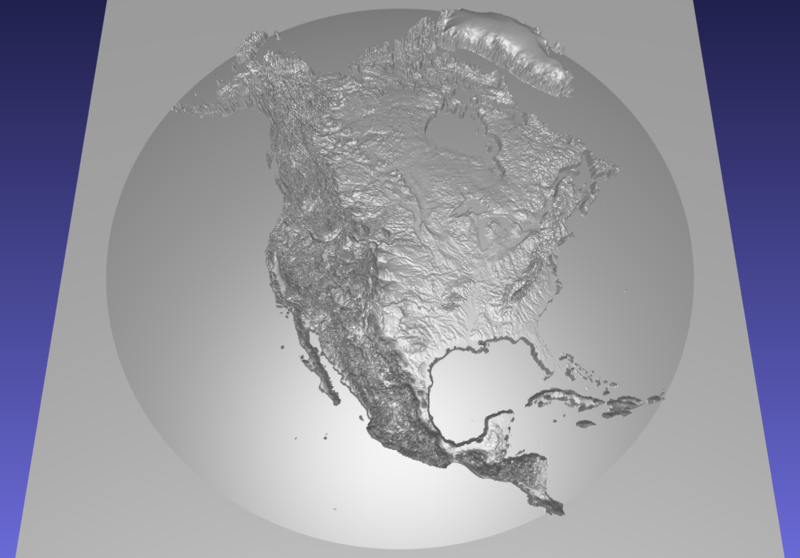 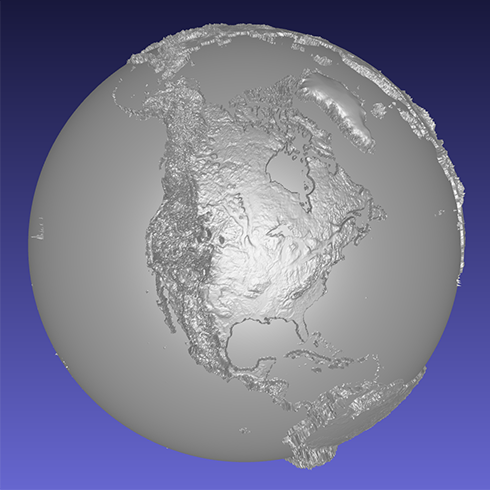 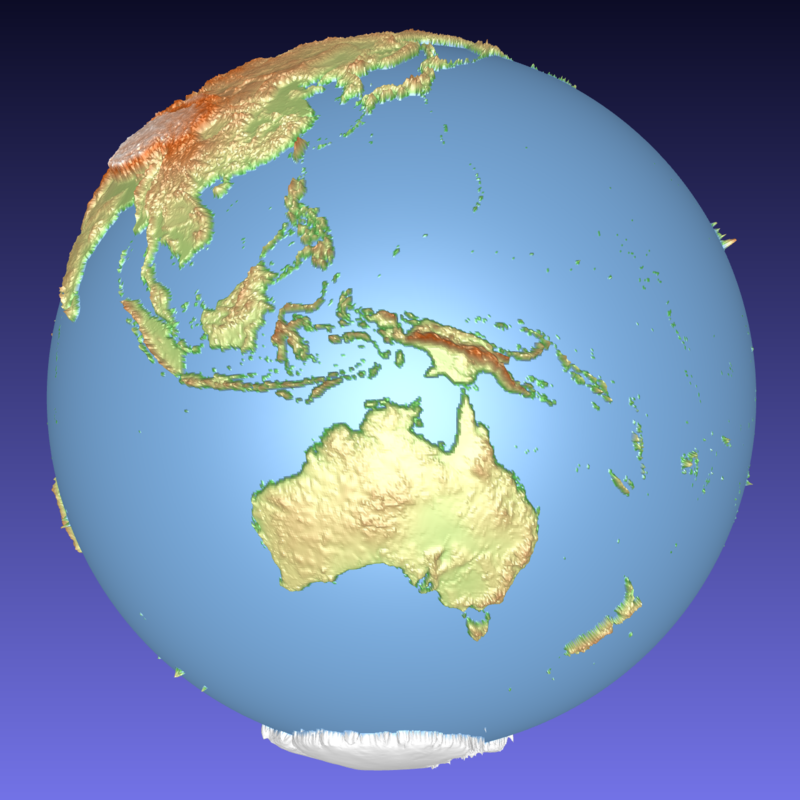 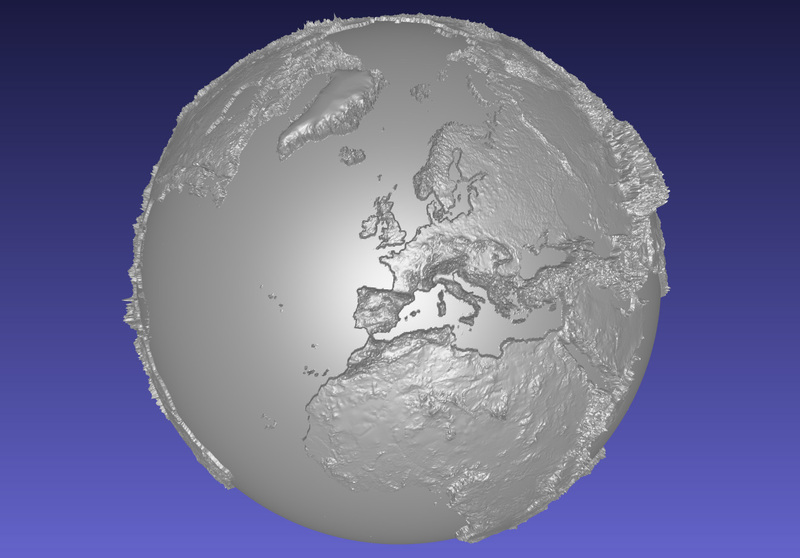 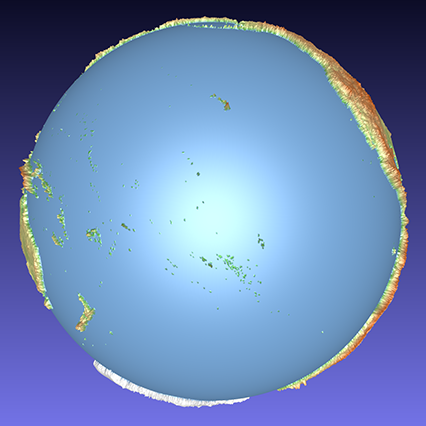 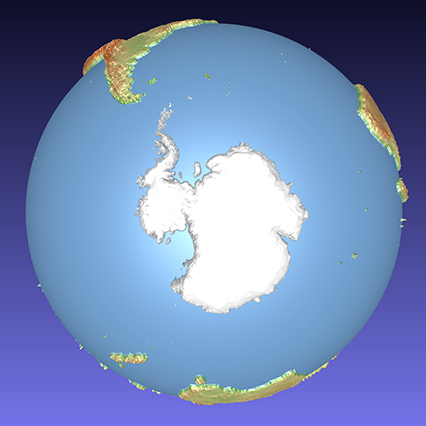 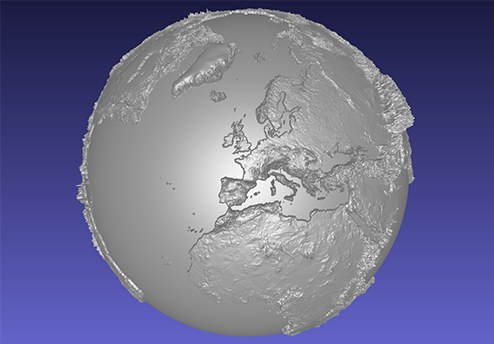 Computer models of a 3D relief globe coloured to look like a traditional physical world map. 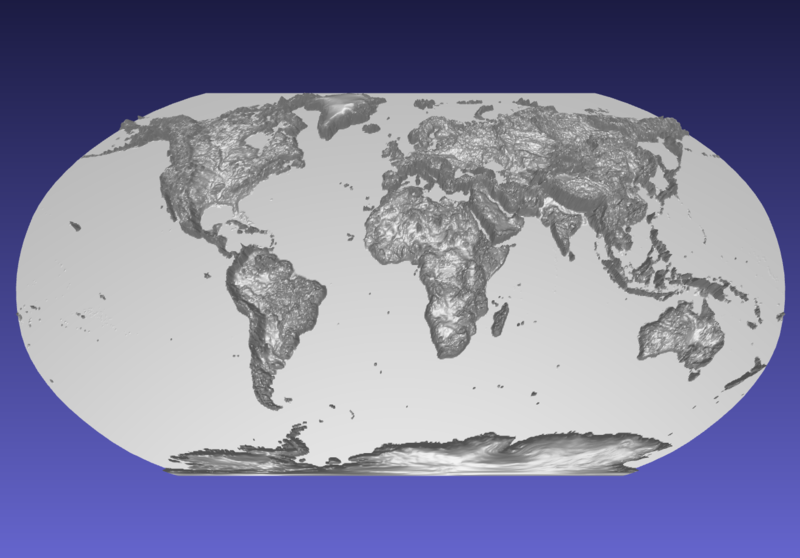 It always astonishes me how much of the Earth is the Pacific Ocean. More of me in my home in the mountain town of Rossland, BC, Canada. My globes will be precision machine-carved from fine North American hardwood and painstakingly hand-finished with museum-grade microcrystalline wax.